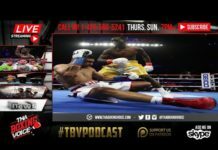 YURIORKIS GAMBOA vs JASON SOSA LIVE FIGHT CHAT, Can Gamboa Turn Back the Clock? 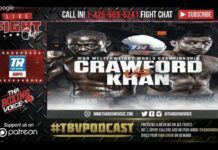 Another edition of TBV Live Fight Chat. First up tonight is Yuriorkis Gamboa vs Jason Sosa. Can Gamboa turn back the clock or will Sosa just show it’s a young mans game? Tune into the live play-by-play of the opening fight of the card. Remember we will be back for the main event of Sergey Kovalev vs Vyacheslav Shabranskyy. 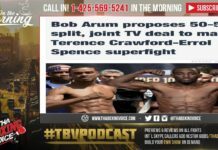 Next articleYURIORKIS GAMBOA vs JASON SOSA IMMEDIATE REACTION, Robbery or Did Sosa Not Do Enough?